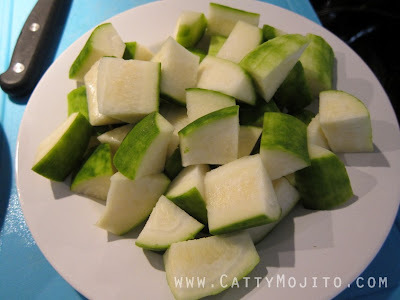 Once in a while I crave certain dishes that Mum makes at home. There are also certain ingredients in these dishes that aren't easily available here, and hairy gourd is one of them. 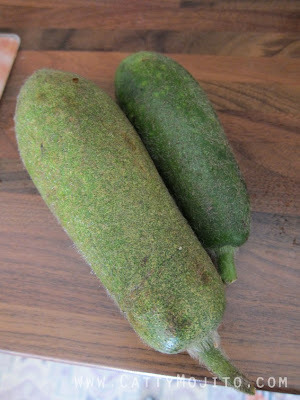 I was soooo happy to have stumbled upon some hairy gourd in an Asian supermarket - I had not eaten it for at least a year! They're not as healthy-looking as they normally are - but I can't care less! I couldn't wait and Google+ my mum (saying Skyped would be more normal but we did use G+...) for her recipe of one of the dishes I've been craving - braised short ribs with dried mushroom and hairy gourd! Well, to be exact this isn't a braising dish...it doesn't require that long. 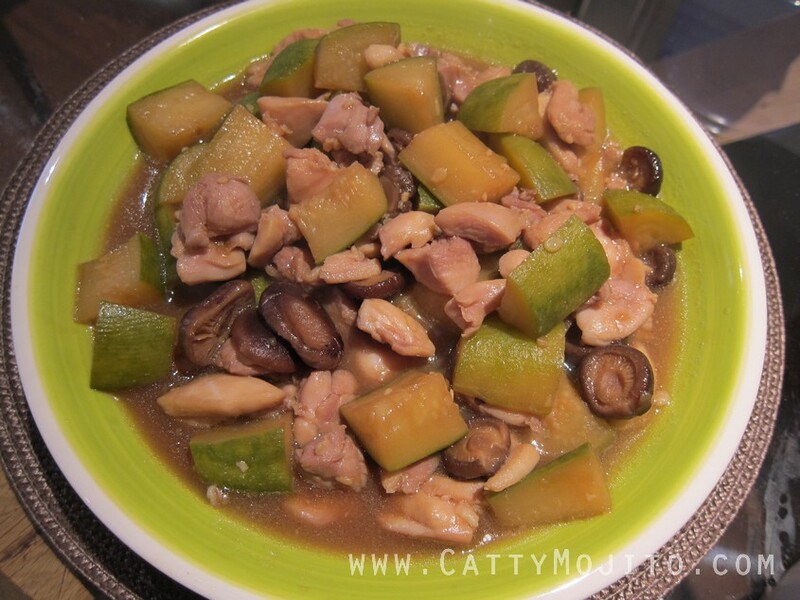 But you do need to cook the gourd for some time in liquid first so I thought it's quite similar to any braising dish! 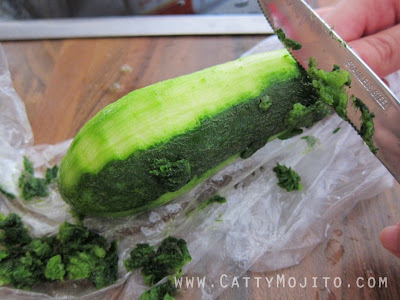 Remove the hair and skin of the hairy gourd with a bread knife. You don't need to use a peeler, but you can if you think it's more convenient. Soak dried mushrooms in water overnight (for best result). Retain the soaking water. 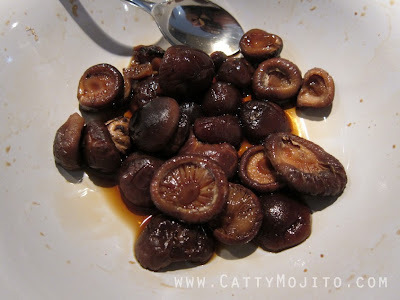 Then marinate the mushrooms with soy sauce and sugar. Since short ribs are hard to come by here, I used chicken thigh meat instead. (Short ribs are a lot better in my opinion!) 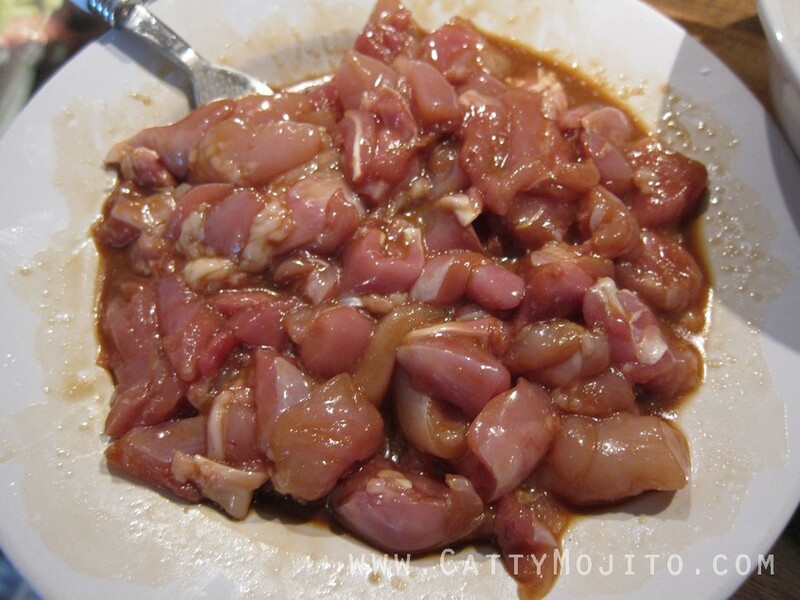 Marinate the meat with corn flour, sugar and soy sauce. Cut the hairy gourds (without hair now...) into small pieces. Stir-fry the gourd in some oil, then add in the mushrooms. Add the mushroom soaking water after a few minutes, then add more hot water so that the water barely covers all the gourd. 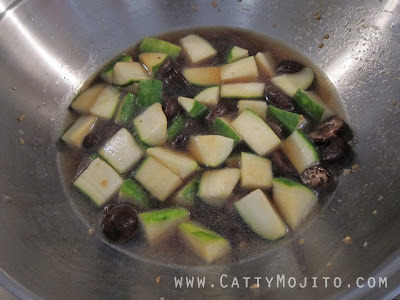 Simmer (with lid on) for at least 10 minutes. 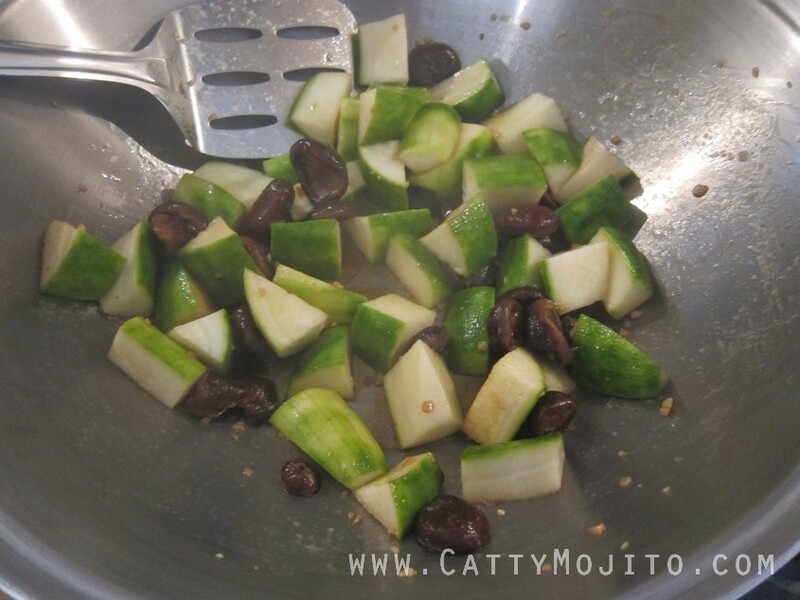 Remove from wok after cooking. 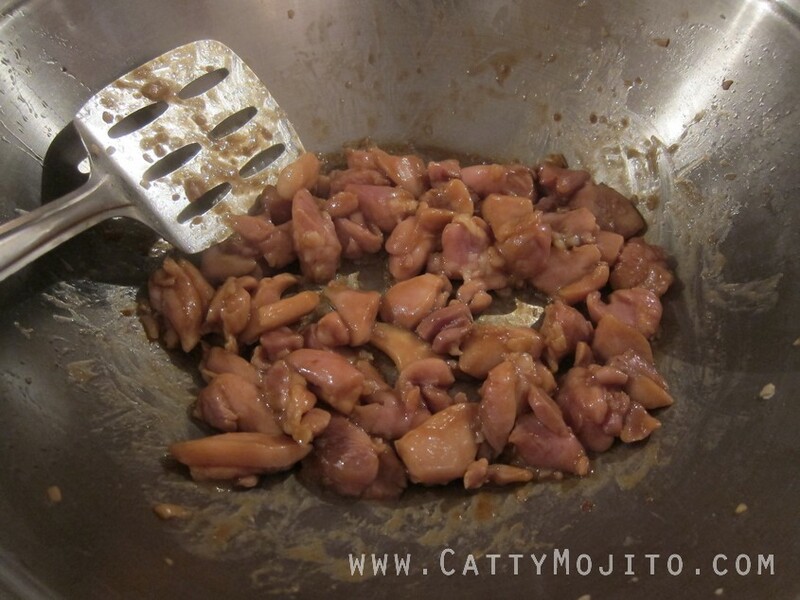 Use some oil to stir-fry the marinated chicken. When the meat is 80-90% done, add in the gourd and mushrooms, stir thoroughly and simmer for another 10 minutes (with lid on). DONE! I was very happy with my reproduction of Mum's homey dish!